The latest consumer news, with independent expert analysis and advice on issues you care about. Find out where you stand with Which? Consumer Rights. Get involved - talk about the consumer issues that matter to you at Which? Conversation. Talk about the burning issues that matter to you at Which? Conversation. Discover how feedback from 60,000 UK drivers helps us steer people to the most reliable cars. It's easy to compare and switch suppliers with Which? Switch. Get the job done with a choice of thousands of endorsed Which? Trusted Traders. Make the most of your garden for only £5 a month. Find simple solutions to your gardening questions. Save some money or get a better service with Which? Switch. Get free, practical guidance on care choices and how to finance them with Which? Later Life Care. 0292 267 0301 Find the best deal with independent advice from Which? Mortgage Advisers. Find the best high-street estate agents by comparing their past performance and fees. Expert, unbiased information and guidance to help make the best financial decisions. Call the Which? Money Helpline for guidance on everything from tax to travel insurance. Smart protection, tailored to you. Make your will online with Which? Wills - it's quick, easy, and affordable. Explore your maternity options and decide what's best for you with Which? Birth Choice. Sign up to Which? Legal for full telephone support from our experts to put you on the right track. Sign up to Which? Legal for clear, step-by-step advice on problems big and small. Join us in calling on the government, regulators and businesses to confront scams head on. Dangerous products are putting millions of people at risk. Sign our petition to demand action now. When your flight's delayed, all airlines should compensate you automatically. Are you with us? Our care system is at breaking point. Help us convince the government to confront the creaking care system. New rules mean more choice as you approach retirement. Join our call for better pensions. Plagued by nuisance calls and texts? Use our tool to report the culprits. Are you getting the broadband speed you were promised? Use our tool to find out. Our railways are plagued by delays, cancellations and overcrowding. Sign our petition to demand better. Freedom to pay. Our way. Cash is a necessity millions couldn’t live without, we’re concerned some people may be left behind. Sign our petition to protect cash. We want to ensure that the government puts you first on Brexit. Back our charter to help us protect your rights and access to quality, affordable products. Do you think you pay a fair price for your energy? If in doubt sign our petition. A community website to share your views on the consumer issues of the day. An expert guide to your consumer rights with free tools and advice for what to do if things go wrong. Get involved in our latest campaigns and find out how to take action. Unless you’re very lucky, you’ll need a mortgage in order to buy your first home. But the amount of mortgage misconceptions, contradictory rules and mind-boggling jargon out there can make it hard to understand how mortgages even work, let alone get one. Below, we bust some of the most common myths that do the rounds and attempt to demystify the weird and wonderful world of mortgages. For a free chat with an expert about anything mortgage-related, from saving for a deposit to finding the right deal, call Which? Mortgage Advisers on 0800 197 8461. Sure, you won’t need to actually apply for a mortgage until you’ve had an offer on a property accepted. But you certainly need to have scoped out mortgages before then, to check what you can afford. Different lenders will offer different amounts, but a good way of getting an accurate idea of your budget is to apply for a mortgage ‘agreement in principle’ (AIP). This is a statement from a lender that they would, in principle, lend you a certain amount of money. It’s true that you’d normally need a deposit of at least 5% to buy a property. But a few lenders have recently launched 100% mortgages, where you take out a loan for the entire cost of the property. There aren’t many 100% mortgages available, though, and they all currently require a parent or close family member to put money aside to guarantee the loan or let the lender secure a charge over their own home. They also carry a serious risk of negative equity, which is when your property’s value falls and you owe more on your mortgage than your home is worth. Giving you a deposit or helping with a 100% mortgage aren’t the only ways your parents can help you buy a home. If they’re homeowners, your parents could act as guarantors on your mortgage, meaning they would have to cover any shortfall if your property was repossessed and sold by the lender. Your parents would have to secure a charge against their own home to do this, but it might boost your chances of being accepted by a mortgage lender. Mortgage repayments may be cheaper than your monthly rent – but that doesn’t necessarily mean you’ll get accepted by a lender. Before deciding whether to give you a mortgage, a lender will assess your income and outgoings to make sure you can afford the monthly repayments both now and if rates were to rise. An independent mortgage broker such as Which? Mortgage Advisers (0800 197 8461) will be able to recommend the lender most likely to accept your application. Saving a big enough deposit can feel like an obstacle to buying your first home. But there are government schemes to help first-time buyers onto the property ladder. With a Help to Buy equity loan you can borrow between 15% and 40% from the government towards the cost of a new-build home, depending on where you live. Alternatively, with shared ownership you can buy a share of a property and pay rent on the rest. This means you can put in a smaller deposit than if you were buying an entire property. Getting a mortgage can be difficult if you’ve got a bad credit history, but it’s not impossible. Some mortgage lenders offer bad credit mortgages specifically designed for people in this situation. However, there is a difference between a bad credit history (due to missed loan payments or a CCJ, for example) and no credit history at all, which might be the case if you’ve never taken out credit or a loan. If you fall into the latter camp, take some time to build up your credit score rather than opting for a bad credit mortgage, as these generally come with much higher rates. Your bank might bombard you with adverts for its mortgage range and even offer preferential rates to you as an existing customer. However, with more than 80 mortgage lenders in the market, it’s worth shopping around before deciding who to apply with. There are thousands of mortgages available, meaning that finding the right deal can be overwhelming. A whole-of-market mortgage broker such as Which? Mortgage Advisers (0800 197 8461) can help you find the right mortgage based on your personal situation. Type of deal: the interest rate on a discount or tracker deal could rise at any time. On the other hand, a fixed-rate mortgage guarantees that your interest rate will stay the same for a set period of time, and could be more suitable if you want your mortgage repayments to stay the same each month during that period. Length of deal period: in most cases a fixed, discount or tracker deal will only last for a set number of years, known as the ‘initial deal period’. Afterwards you’ll be moved onto your lender’s standard variable rate of interest, which is usually much higher – meaning you should remortgage to a different deal at that point. Fees: many mortgages carry fees ranging from £100 to well over £1,000, making a big difference to the overall cost of the deal. Cashback: some deals have higher interest rates but offer cash when you take out the mortgage. This can be welcome at a time when you’re spending thousands on the costs of buying a home, but do weigh up whether it’s worth it in the long run. 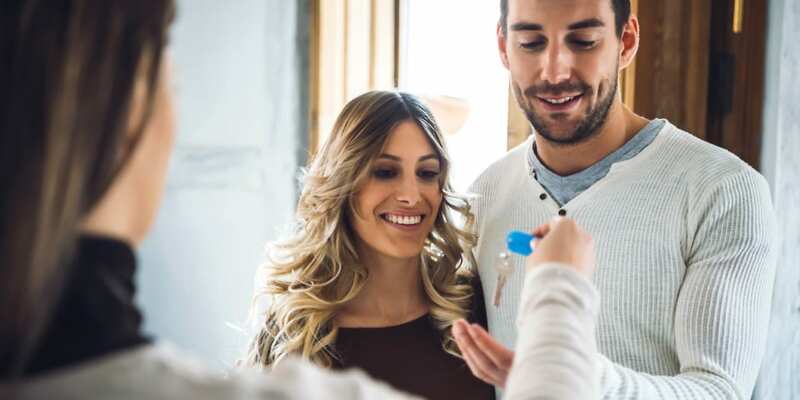 Whether you’re saving for a deposit or are ready to buy a property, it’s worth getting expert advice from a mortgage adviser. The friendly team at Which? Mortgage Advisers will look at the full range of mortgages on the market before recommending the right deal to suit your circumstances – or, if you’re not ready to look at deals yet, they can advise you on your saving plan. To chat to an adviser, call 0800 197 8461 or fill in the form below for a free callback. Your home may be repossessed if you do not keep up repayments on your mortgage. Which? Limited is an Introducer Appointed Representative of Which? Financial Services Limited, which is authorised and regulated by the Financial Conduct Authority (FRN 527029). Which? Mortgage Advisers and Which? Money Compare are trading names of Which? Financial Services Limited. Free cash scheme for first-time buyers ending this year - should you sign up? Do you live in an area with the worst credit scores? Parks premium: how does green space affect London house prices?